Charleston, South Carolina, the east coast, plantation, holy city, beaches, and amazing sunsets. When you are getting married here in Charleston, SC your probably searching many wedding photographers website for sunset wedding photos. This is not easy to find like finding too many wedding photographer that can capture wedding photos in standard ambient lighting. You see capturing great sunset photos requires not only many decades of true photographic experience, but also great lighting experience and very expensive lighting equipment. If you happened to have already hired a wedding photographer and notice that the or those wedding photographers are showing up with a flash on their camera to capture sunset photos then yes you probably hired the wrong one...First, let me say that I have finally mastered this craft that is not easily achieved. It took many trials and errors in knowing how to balance the sunset and strobe lighting in basically letting them merge seamlessly and perfectly for the perfect Charleston sunset wedding photo. 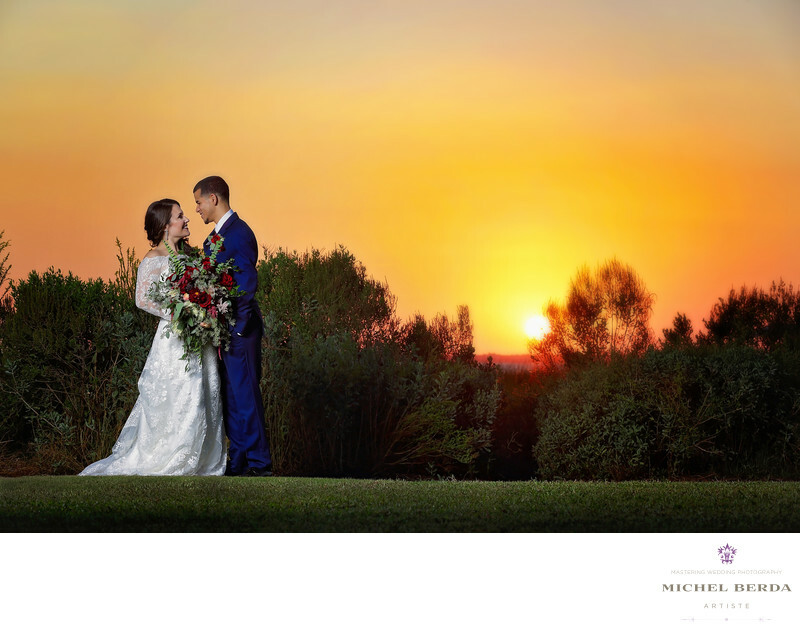 Most times it takes a very powerful strobe to create such a beautiful light that merges the strong sunset light, without coming out with a silhouette images and more with a piece of art. ..Here in this Charleston sunset wedding photo, you notice that perfect balance, where the sunset is colorful, and the wedding clients are in their special moment perfectly lite for a true sunset wedding photo.Keywords: Charleston (1179), Michel Berda (1140), photographer (1125), Wedding Photographer (1254).